It wasn’t long before Bisping replied with a lengthy Instagram post of his own. “This is only in response to @spiderandersonsilva,” Bisping wrote. “You are still whining on Instagram about the decision. Saying I ran the whole time, and you knocked me out lol. First off, I backed you up the entire fight and dropped you twice, also I clearly out struck you the entire fight. You landed a cheap shot in the third which dropped me at the end of the round, not me lol. The controversy that stirs the instagram commotion happened in the 3rd round of their fight. While Bisping was foolishly signaling to the referee that he lost his mouthpiece rather than defending himself, Silva dealt him a huge flying knee that dropped him. 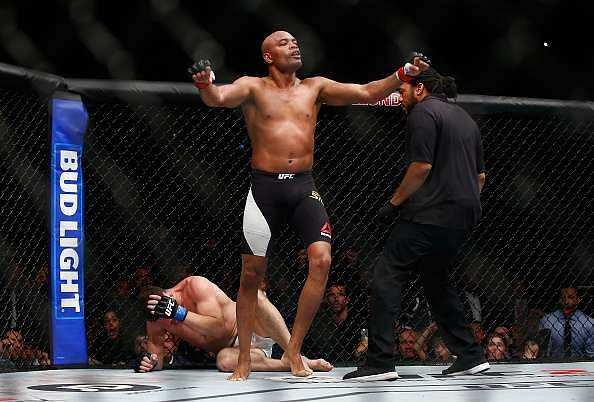 Silva was celebrating thinking he’d won unaware that the round just ended and the fight wasn’t over. Bisping recovered in time and went on to win a decision based on three good rounds and two knockdowns he had in the contest.